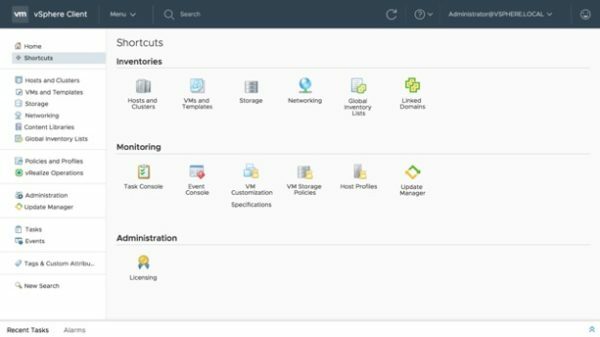 VMware, the industry-leading virtualization and cloud platform, released the new vSphere 6.7 introducing several new features and enhancements that enforce its role as leader in the virtualization market. The new version supports upgrades and migrations from vSphere 6.0 or 6.5 only. The new release comes with several new features and enhancements, let's see the most important features introduced. Also in this release the HTML 5 client is not fully working but has now the 95% feature complete. Client's performance have been improved providing a more intuitive look. The Web Client has now the Platform Services Controller part for an easier management. In the Monitoring tab there is now the possibility to see all the disk partitions for the vCSA, space available and utilization. 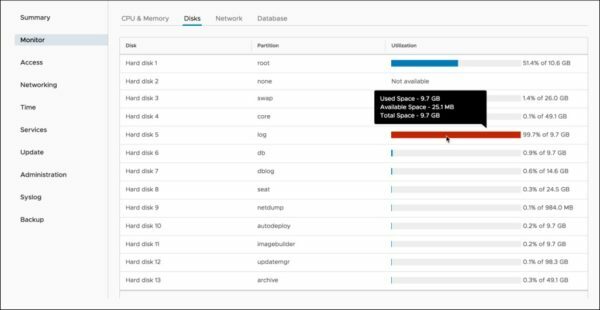 Better visibility to CPU, memory, network, and database utilization. Services status, startup type, and health are now visible in the VAMI. Services can be started, stopped, and restarted directly from the VAMI if needed. Syslog forwards supported are now three. Previously only one forwarding was supported. The Update section has been improved providing a more flexibility in selecting patches and updates providing the option to stage or stage and install a patch or update from the VAMI. Are now available more information about what is included for each patch or update as well as type, severity, and if a reboot is required. 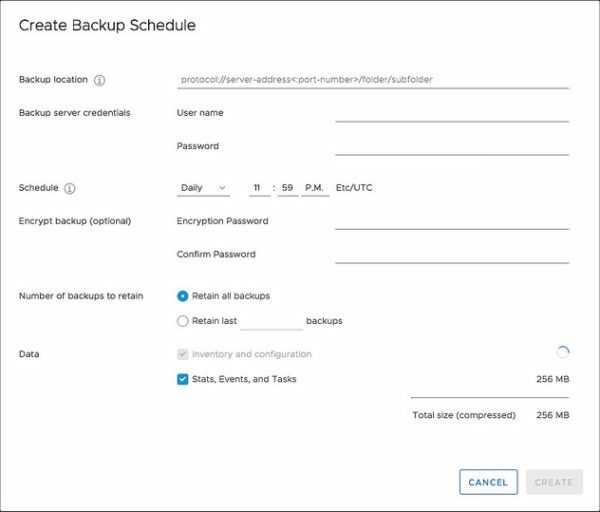 File-based backup was introduced in version 6.5 and now has been improved with new features such as the native scheduler included in the UI with the retention option available. Completed and failed backup jobs are now logged with detailed information. The File-based restore is now provided with a browser that displays all your backups simplifying the restore process. You no longer need to know the entire path. 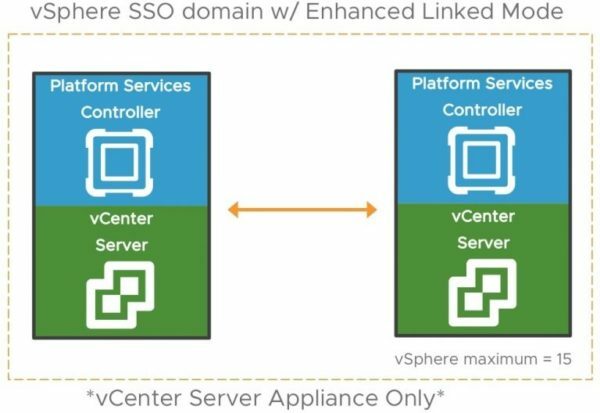 With the new APIs introduced in vSphere 6.7, you can now deploy multiple vCenters based on a template making the management of vCenter Server Appliance easier. Now also the embedded Platform Services Controller topology supports the enhanced linked mode, enabling administrators to link multiple vCenters and have seamless visibility across the environment without the need for an external PSC or load balancers. The vSphere Client has now all PSC functionality located under the Administration menu. There is a dedicated tab for Certificate management and all other PSC management is under the Configuration tab. 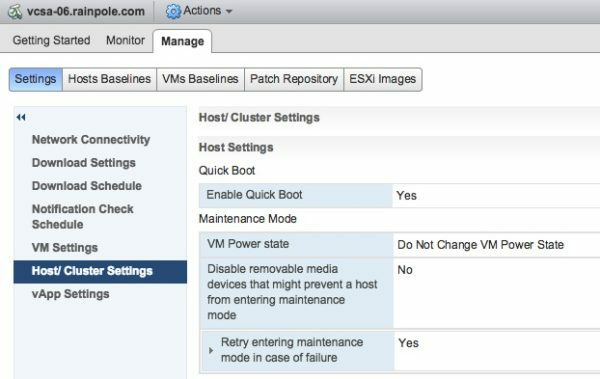 In vSphere 6.7 the upgrade process of ESXi hosts has been improved by eliminating one of two reboots normally required for major version upgrades reducing maintenance time. The upgrade from version 6.5 to 6.7 will benefit of the new feature. For the hardware that supports this new feature, the hypervisor can be restarted without going through the physical hardware reboot process. Currently only a limited number of servers are supported but the number will be increased. This feature works not only for reboots but also for upgrades. The system creates a second ESXi memory image and when the host is rebooted it doesn't perform a full reboot but it switches over to the latest instead. Other intersting features are included in vSphere 6.7, such as an improved DRS initial placement, vSphere Persistent Memory and so on. 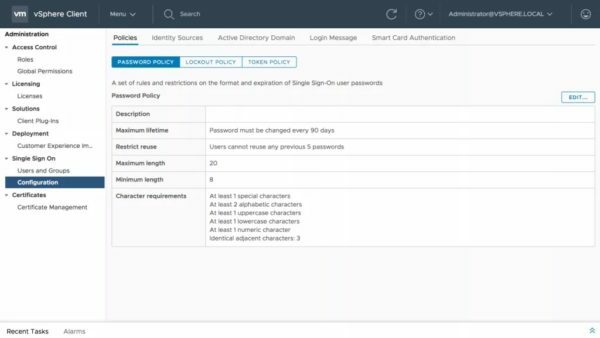 You can find additional info about vSphere 6.7 in the VMware website. VMware made available a VMware Configuration Maximums web page where you can easily check maximum supported configurations in vSphere 6.0, 6.5, 6.5U1, and 6.7. VMware vSphere 6.7 is already available to download at VMware website.